What’s it like for you to live with chronic daily headache? The 30 Things About Your Life With Chronic Daily Headache meme is a great way to share your experience. To share your answers on The Daily Headache, copy and paste the questions and your response into the submission form at the end of this post. If you have a blog, you’re welcome to publish the questions and your answers there (but please link to this page). Even if you don’t wish to share your answers publicly, I encourage you to think about the questions. Whether you share them with loved ones or just keep them for yourself, reflecting on your life with chronic daily headache can provide helpful insight. 1. I have had chronic daily headache (CDH) for ____ years. 3. After the headache started, it took ______ [weeks/months/years] to get a diagnosis. Thanks to Invisible Illness Awareness Week for the idea for a 30 things meme. Readers were so receptive to the 30 Things About My Invisible Illness meme that I knew we needed something similar for Migraine and Headache Awareness Week. 1. I have had chronic daily headache (CDH) for 5 years. 2. The first headache I remember is: I was nine years old, and it was around Christmastime. My third grade teacher was making gingerbread men ornaments for us to take home, and the smell of the spices was so strong it triggered my very first migraine. 3. After my first headache, it took 5 years to get a diagnosis of migraine headache. At that point, I began taking daily preventatives. My migraines were episodic at the time; they transformed into chronic daily type in 2011. 4. My pain level fluctuates. 5. My typical pain level ranges from a 6 to a 10, but normally hovers around a 7. 6. In addition to pain, my symptoms include: dizziness, nausea, vomiting, confusion, aphasia, mood swings, ringing in my ears, blurred vision, depersonalization, neck spasms, sensitivity to light and sound, allodynia on my face and scalp, and irritation to my trigeminal nerve (I also have trigeminal neuralgia). 7. Treatments I have tried include: everything, basically, but to break it down, I’ve tried beta blockers, calcium channel blockers, anti-epileptic agents, gabapentin/lyrica, oral contraceptive, SSRIs and SNRIs, Botox, occipital nerve blocks, DHE infusions, deacon infusions, methergine, massage, acupuncture, and cognitive therapy. I’ve tried others, I’m sure, but that’s what I remember from the top of my head. 8. I take too many medications/supplements each day for prevention and not the right medications/supplements when the pain becomes unbearable. My go-tos for prevention are nadolol, methergine, Savella, magnesium, clonazepam, topamax, iron, and oral contraceptive. My abortives are indocin, migranal, tizanidine, vicodin, promethazine, zofran, and compazine. 9. When the pain gets bad, I usually wind up stuck in bed for days/weeks on end and inevitably I wind up admitted into the hospital for inpatient treatment. 10. The most frustrating part about having CDH is my loss of autonomy. 11. Because of CDH, I worry about not being able to provide for myself and not being able to be a productive member of society; my mother and my grandmother need my help, specifically, and with me being this sick, I can’t do anything for them at all, even though I desperately want to. 12. When I tell someone I have CDH, the response is usually a mixture of lack of understanding and a shallow “oh I hope you get better soon” which, really, is the same thing. 13. When I see how little research and information exists on CDH, I feel invalidated. Billions of dollars can go towards obesity, for example, which in most cases can be completely prevented, and yet migraine is left out in the cold. 14. Having CDH has affected my work/school life so negatively that I can no longer enroll in classes. I should have graduated with my diploma in 2011. It’s now 2015 and I still have almost 2 years left before I’ll be done. 15. Having CDH has affected by family life in the sense that it has fractured my relationships with everybody. Not being able to handle phone calls and not being able to drive places to meet with people, or not being able to handle looking at my cell phone to FaceTime relatives has been horrific because I have essentially been cut off from my family. 16. The one word that best describes my experience with CDH is chthonic. 17. My best coping tools are sleeping, praying, sleeping, and spending time with my mom. And sleeping. 18. I find comfort in knowing that I am not alone. I am not the only person suffering from CDH, and that gives me more comfort than words can say. 19. I get angry when people say it’s just a headache, because it really isn’t. 20. I like it when people say that my pain is real and that I am allowed to have my moments of remorse over my situation. 21. Something kind someone has done for me in relation to CDH? One time my mom rubbed cream into my feet for four hours while I was vomiting and sobbing my eyes out from pain on Christmas Day in the ER of all places when my migraines had just started to transform to chronic daily. I will never forget that. Ever. 22. The best thing a doctor has ever said to me about CDH is that he believes my pain is real. By contrast, the worst thing a doctor has ever done was prescribe two Tylenol pills to swallow while I was actively vomiting while admitted inpatient to treat 10/10 pain. 23. The hardest thing to accept about having CDH is knowing that at the age of 26, I might never live to see a pain-free day for the rest of my life. 24. Having CDH has taught me patience. It has taught me to be patient with other people (like doctors and nurses and strangers when I’m not feeling well), but most importantly, it has taught me to be patient with myself. I can’t rush myself to the point of pain, to the point where I lose my sanity or my health. My well-being has to be a priority, and I am the only person capable of ensuring it remains that way. 26. If I could go back to the early days of my diagnosis, I would tell myself to buckle up because it’s gonna get bumpy, but DON’T GIVE UP. Also, ginger really helps with nausea so buck up and ignore the taste. 27. The people who support me most are my mom, my step-dad, and my grandma. If my dogs counted as people, I would include them as well. 28. The thing I most wish people understood about CDH is that it is a DAILY headache. It’s not a cop-out excuse. I sort-of hate the word “headache” in the official terminology because at least for me, it’s not a daily “headache” – it’s a daily “want-to-vomit-oh-god-the-room-is-spinning-the-sun-is-too-bright-why-is-everything-so-freaking-loud” migraine. And maybe that’s what I wish people would understand most about CDH. It’s so much more than daily head pain. It’s a complex syndrome of neurological symptoms that actively impedes daily activities and interferes – quite painfully, at that – with every attempt to eke out an actual “quality-of-life” existence in spite of the pain. 29. Migraine and Headache Awareness Month is important to me because it provides the opportunity for a common condition to receive the recognition and visibility it so deserves. 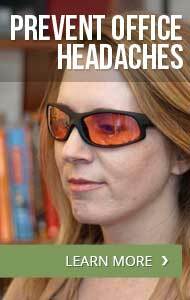 Migraine is not just a head pain. It is a neurological condition that has a widespread effect on a person’s body, within a person’s family unit, and upon a person’s community. Advocacy for research for treatments and, hopefully a cure, will hopefully allow millions of people to live a life free of pain and other symptoms. It will let people like me return to living a normal life. 30. One more thing I’d like to say about living with CDH is: It’s hard. It’s hard to wake up every morning and have that split-second where you think that your head might not hurt that day until you blink and realize that the pain is still there. It’s hard when you sneeze and a lightning bolt shoots from the base of your neck towards the back of your eyes. It’s hard when your favorite foods become fodder for the toilet. It’s hard when you see your social circle slowly begin to dwindle and, eventually, disappear altogether. Living with chronic illness like CDH is not easy. It is not something a person wishes upon oneself. It’s not something you can say “it gets better” to or “just don’t give up” and magically feel better about it. However, there will be glimmers, sunny days and smiles and laughter and reminders of who you were before this disease consumed your life. And when you’re reminded of who you were, cling to that memory. Underneath the pain and confusion and hurt and trauma of being invisibly ill, you’re still you. And you are beautiful. And you will survive.